This is the era of flexibility. Under constant pressure to be adaptable, organizations increasingly adopt employment practices such as zero-hours contracts, the casualization of the workforce and the use of temporary and agency labour. These flexible practices are central to debates about the changing nature of job quality and its causes, trends and consequences. Arguing that job quality is central to understanding contemporary work, this book explores the internal and external pressures for flexibility in workplaces, professions and sectors and how this pressure shapes workers’ experiences of job quality. 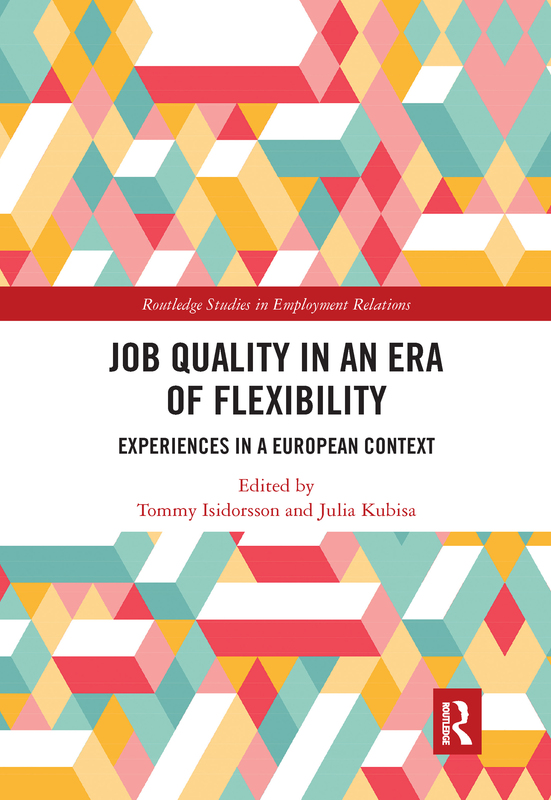 By studying job quality dynamics via case studies from organizations and occupations in the UK, Poland, Belgium and Sweden, the volumes illustrates the diversity of practices and experiences, as well as market pressures and institutional arrangements which effect working lives. Finally, the editors propose a policy debate on the new concept "flexiquality" - a combination of flexibility and job quality that can be beneficial for both management and workers.